The last episode of Nat Geo’s Breakthrough aired last night, and, well, it’s a cause for concern. Tony Jones and I discuss the water crisis and the possibilities of drinking poop water. I wonder if, for many people in the United States, the clean water, water conservation, and the possibility of a severe water shortage are things they take for granted the most. I know I did until I moved to southern California. We’ve taken on some water conservation practices…although we can always do more. Driving between Los Angeles and San Francisco is increasingly becoming like driving through a deserted. We visited the Salton Sea last year (which is featured in this episode), and I can tell you it is like walking onto the set of a post-apocalyptic film. Perhaps more than any episode yet, this week’s really shows the fascinating ways in which technicians, engineers, and scientists are meeting some of the greatest challenges that humanity faces. On top of that, with the work that the Italian architect is doing in Ethiopia, there’s a mix of science, engineering, and aesthetics at work that is really quite beautiful to watch. TJ: I’ve got a friend writing a book that I’m editing about the Salton Sea. He really thinks it is a vision of our future, and many scientists agree: combine overpopulation with climate change, and we’re simply going to run out of water. I know that many people seem to think that the human race can get ourselves out of any problem, I just don’t see the evidence to support that. 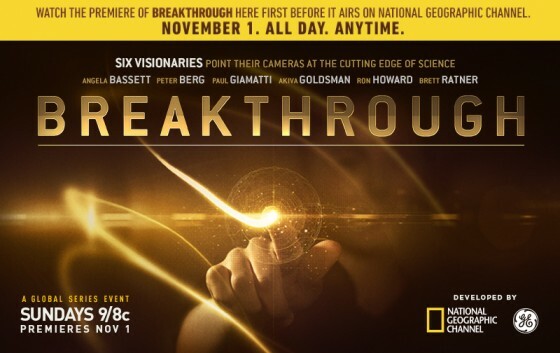 That being said, the Breakthrough scientists featured in this and every episode are inspiring. I mean, they’ve got us drinking poop water. That’s amazing. RP: There are clear takeaways for the church and people of faith here. The crisis is large, but ways to address it are extremely accessible and manageable. The Warka Water towers in Ethiopia look to not only be sustainable but cost effective. Doctor visits for families in these regions that suffer from a lack of clean water are only $2. This seems to be a case where the church could do a lot with relatively little. One of the most interesting points of discussion in this episode is the tension between farming and human use of water. Are there ways in which we need to change our diets or our expectations of what we should be able to get at the grocery store in order to ensure that as many people have access to water as possible? I mean, do we really need an endless supply of walnuts? Water should be more important to us. It has a wealth of scriptural and theological significance. I saw the Ethiopian women gathering to help build the water tower and immediately thought of the importance of wells throughout scripture. I doubt there can be a more direct conveyance of the good news and of sharing God’s love with others than making sure they have access to clean water. TJ: One of the things that occurred to me in this episode is that maybe the church needs to start preaching against overpopulation. Just imagine, for instance, if the pope told the world’s 1+ billion Catholics that they shouldn’t have more than two or three kids each. That would run counter to the Church’s historic teaching, but it would have an immediate affect on our dwindling water supply. “We’ve seen civilizations come and go around water,” says one scientist as she walks across the dystopian landscape of the Salton Sea bed. I spend much of my time around water — it’s a large part of my life, and especially my recreation — and it scares the hell out of me that it might be running out. In the end, scientists and preachers must come together around these issues.